The Centre is open between 7.30am and 5.30pm Mon- Fri for full day sessions and 6 hour sessions. We want you to be comfortable about leaving your child with us so we encourage parents/caregivers to spend as much time as is practical settling in your child, including visits to the Centre with your child prior to them starting. We have a commitment to employ qualified teachers with a passion for working with young children, 80% of our teachers are qualified with a diploma or degree in Early Childhood Education. We strive to achieve a teacher/child ratio which is higher than the ratio’s stipulated by the Ministry of Education. We aim to ensure that our teaching team undergoes ongoing professional development, to ensure that their skills are relevant and current. The Centre provides a nutritious morning and afternoon tea and water to drink. Parents are required to provide a packed lunch if their child is at the Centre between 12.00-12.30pm. Our aim is to encourage healthy eating habits and we request that parents do not include lollies, chocolate, potato chips, etc in lunch boxes. On the last Friday of the month we offer an optional lunch at a cost of $2 per child, orders can be placed at the office. Younger children are regularly encouraged to use the toilet and all children have free access to the toilet. Please let our teachers know your child’s preferences for using the potty or toilet and we will support your home toilet training regime. Nappies and baby wipes are provided by the Centre. Children who need to sleep have their own bed and space. A staff member is always present while your child is sleeping and sleep records are available to parents on request. Children under 2 are allocated their own cot in the separate baby sleep room. Don’t be proud, please dress your child for play. There are lots of wet & messy play experiences throughout the day, aprons are provided but accidents happen so we request that you provide an extra set of clothes each day. In summer your child will be required to wear a hat and our teachers will apply sunscreen throughout the day. Communication is the key to a successful relationship. We aim to make communication with parents regular and informative as possible. With day to day feedback we also have a parent notice board, program planning around the Centre and regular newsletters. Books and pamphlets on a variety of early childhood related topics, Centre policies and procedures are available at the Centre. 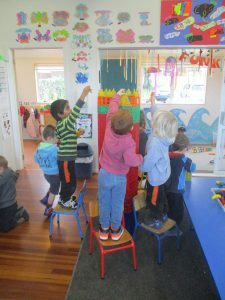 Waiuku Early Learners is a non-profit community centre run day to day by a Centre Manager who reports to a Governance Committee. All parents are welcome to attend monthly meetings and stand for election on to the Governance Committee. We remain open throughout school holidays with the exception of Christmas & New Year when the Centre closes for a period of up to 3 weeks. We aim to keep our fees as low as possible without compromising our standards and quality of care. New enrolments will be asked to pay a non refundable administration enrolment fee of $20 to secure a place at the Centre. 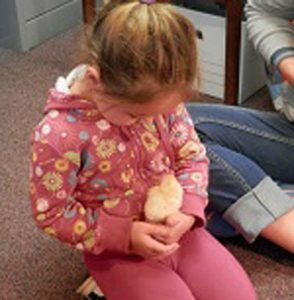 20 hours ECE per week , FREE for all 3 & 4 year olds. Discounts for 2nd & 3rd children. Work & Income subsidies accepted.